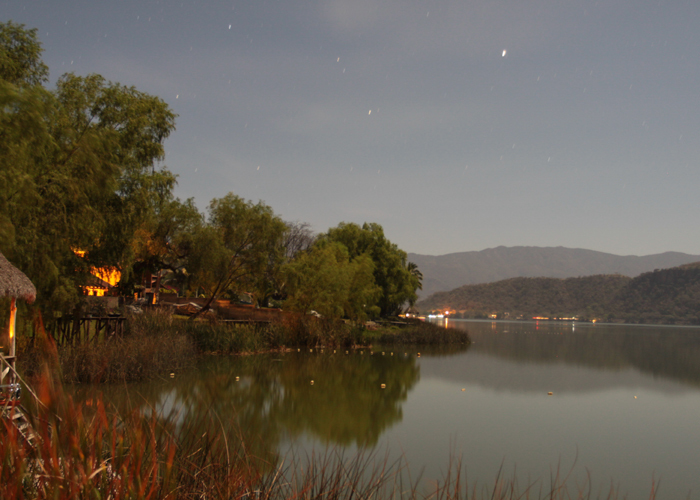 As some of you might know from PULL or The Butter Effect, Lake Santa María in Santa María de Oro, Mexico is one of the most beautiful lakes to ride in the world (we rated it the 4th best place to ride back in the May 2007 issue of Alliance). 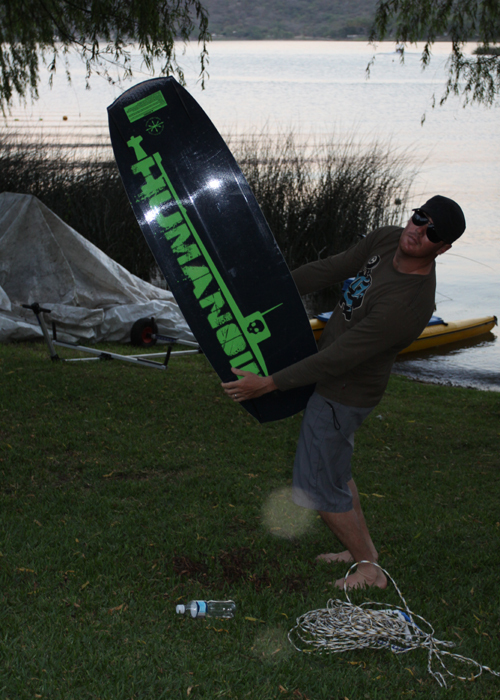 When asked if I’d like to join the crew at Wakeclinics for a weekend of fun, sun and a heck of a lot of instructional wakeboarding, my immediate answer was yes. 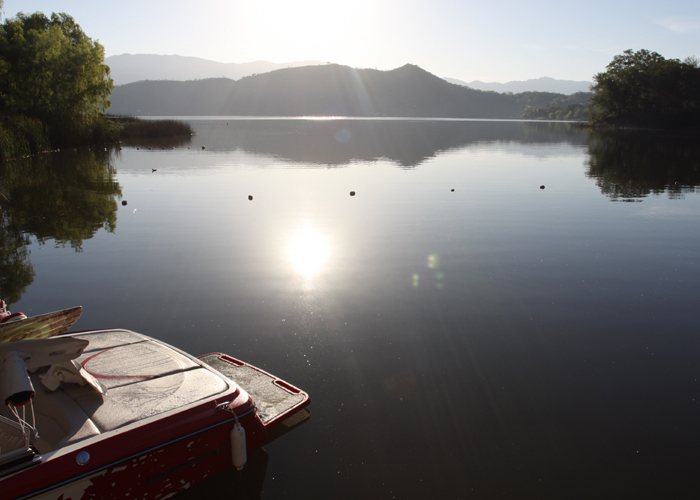 Lake Santa María sits calmly within the walls of an inactive volcano that has been filled by rain, nearby rivers, and under water wells for centuries. 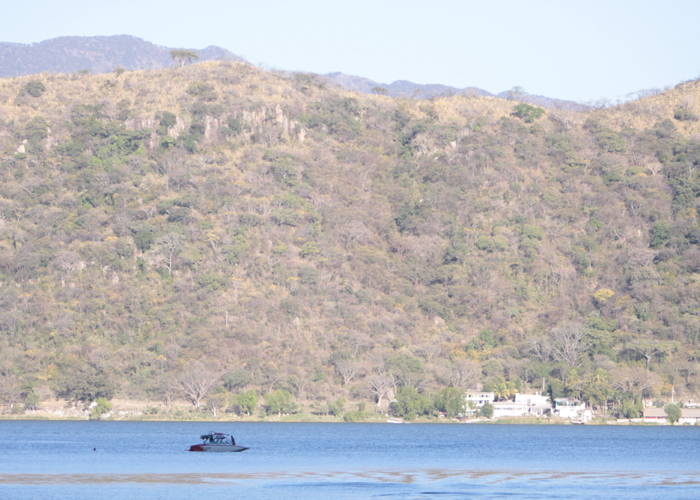 Once explored by the son of the famous underwater explorer Jacques Cousteau, the true depth of Lake Santa María has been determined un-measureable with its depths believed to reach to the centers of the earth. 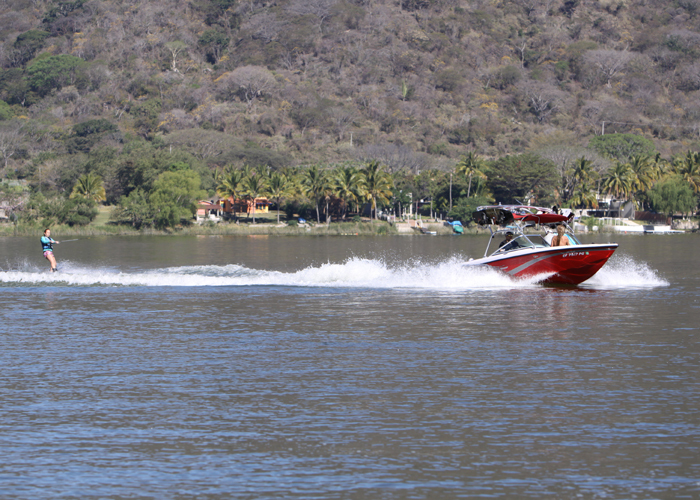 My weekend started with a relatively short flight to Guadalajara, Mexico where I met up with The Wakeboard Camps’ best instructors Kyle Schmidt and Chad Lowe. We arrived at around 10:30pm and were greeted by a kind man with a wakeclinics.com sign who insisted on carrying our bags to our shuttle pickup. 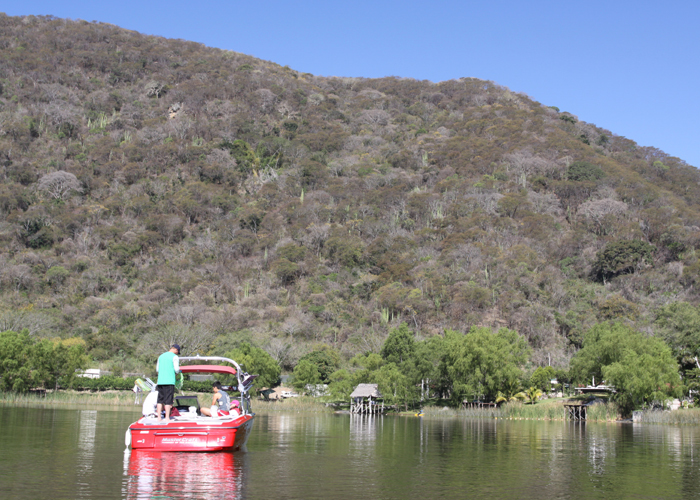 Once settled in the van, two other Wakeclinics campers joined us and we made our hour and a half drive to the lake. 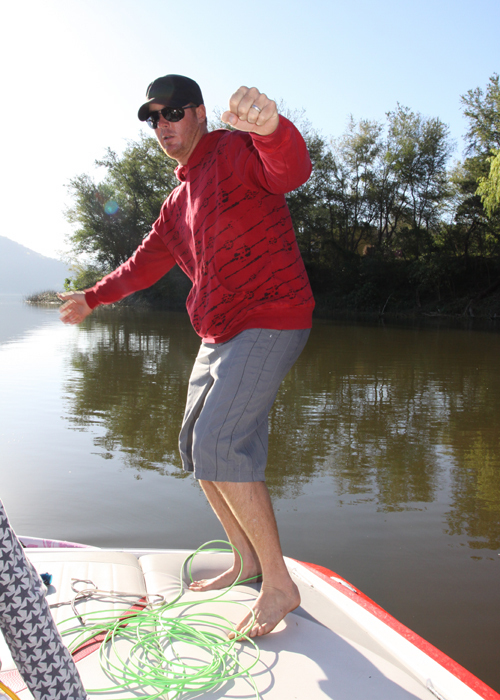 We reached our lakeside destination where we were welcomed by head honcho, and Wakeclinics guru, Germán Brito. The next morning we rose to the sounds of roosters, birds, donkeys, and what I swear was a pterodactyl. I stepped outside to take a look at the lake I had only seen in films and photos prior to my trip and was totally blown away. The mirror-like, glassy water and warming sun was something only few have seen or experienced in this fairly remote location of Mexico. The 10+ campers gathered and met the pros who they’d be camping and bonding with for the next week, and then we were off. 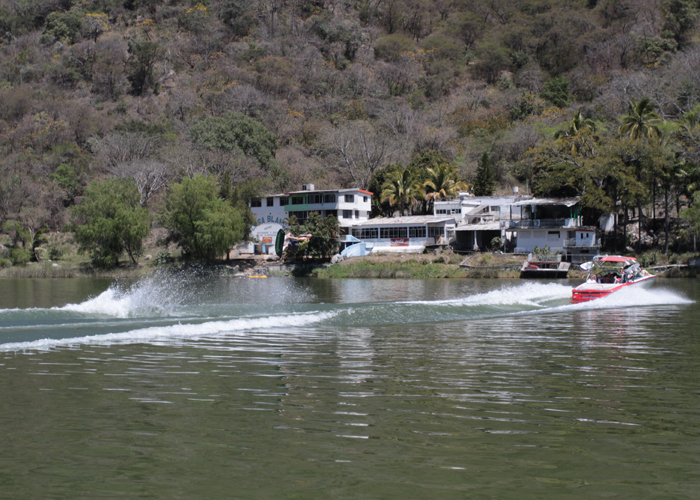 With Kyle in the MasterCraft and Chad in the Nautique, the campers were ready to ride and the buttery water of Lake Santa María was waiting. 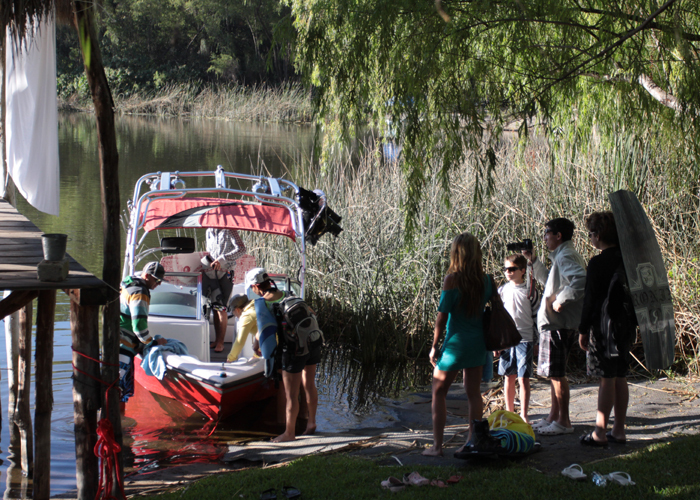 The riders jumped in and the wakeboarding instruction began. 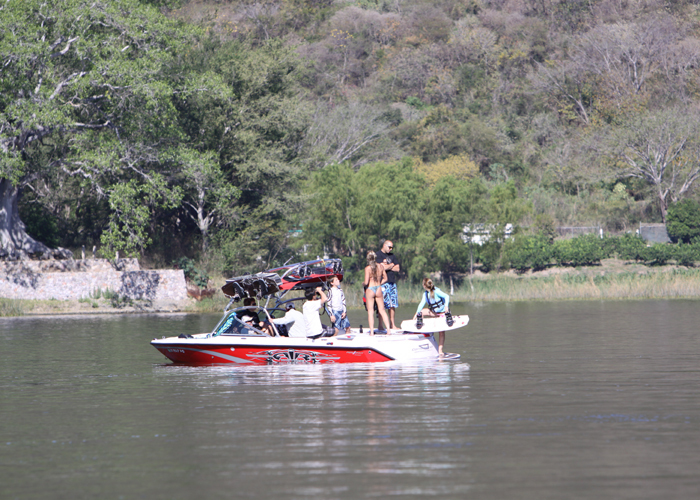 I have never experienced true wakeboard instruction from pros like Kyle and Chad before this trip and I was instantly impressed. 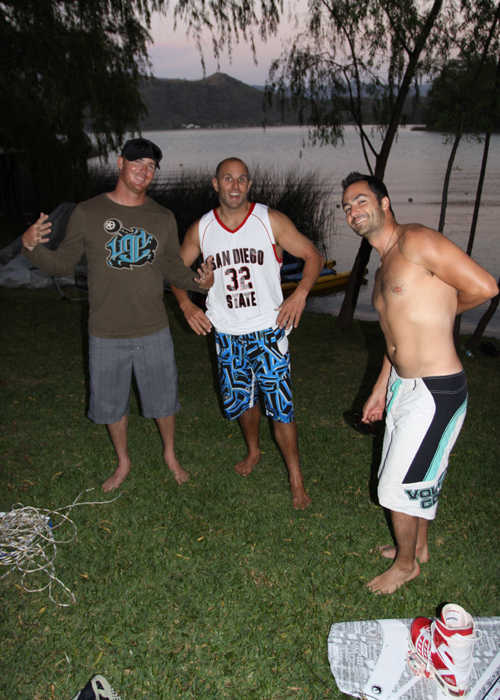 Their years of knowledge not only in wakeboarding but the physics behind it all are truly amazing. Each camper had individual goals he or she wanted to achieve and Kyle and Chad gladly made those goals a reality. There’s something to be said about hands-on instruction from a pro that no video or book can teach. 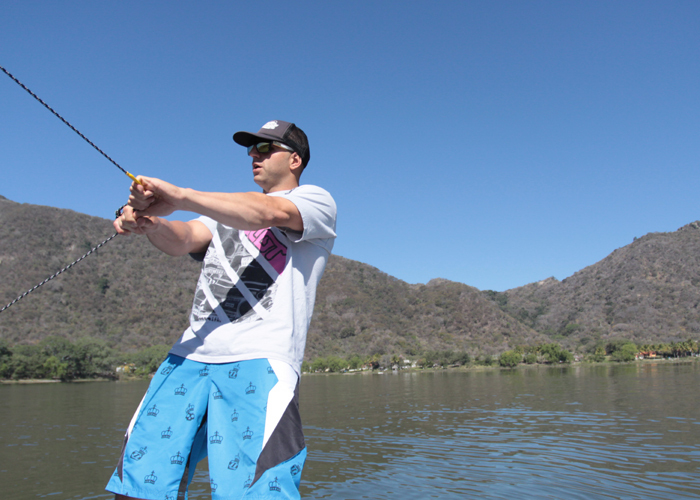 After two days of watching Kyle and Chad give tips, pointers and advice, I have a newfound respect for wakeboard instructors that I never could have imagined. The excitement and pride each camper has after learning something new is priceless. 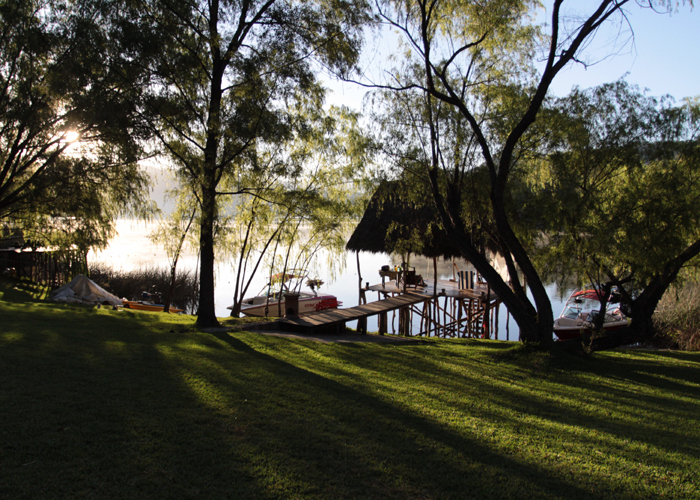 After each instructional wakeboard set the campers were welcomed by the smell of freshly cooked meals prepared by Germán’s friendly crew. As the campers and pros sat together to eat each day and talk about what new trick or skill they had just learned, the real camp experience came to life. 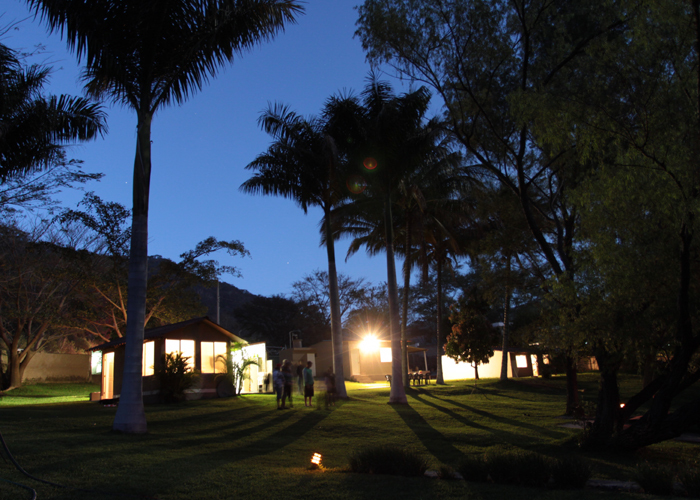 The campers laughed and shared their stories with their families and new friends with whom they now share a common bond. 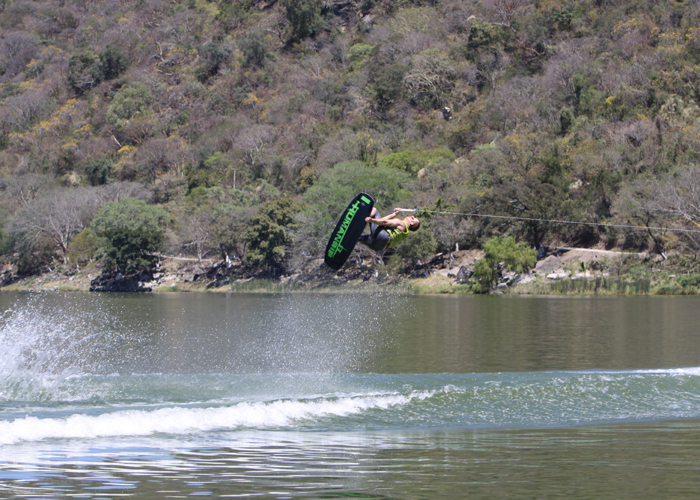 Wake up, wakeboard, eat, wakeboard, eat, sleep, and repeat. 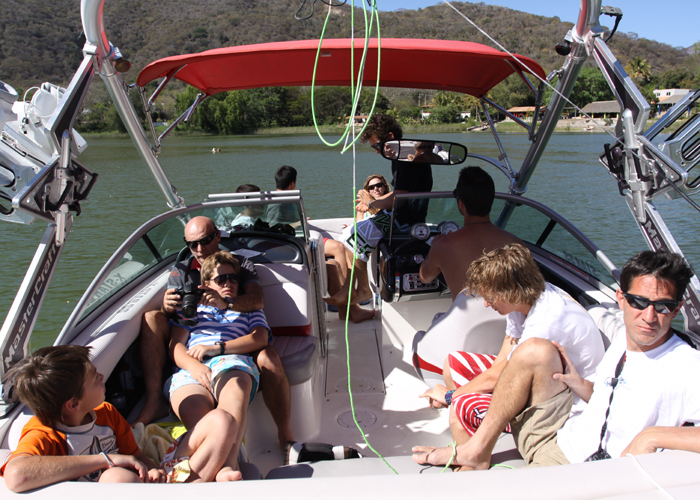 This is the daily life of a Wakeclinics camper. Not too bad right? 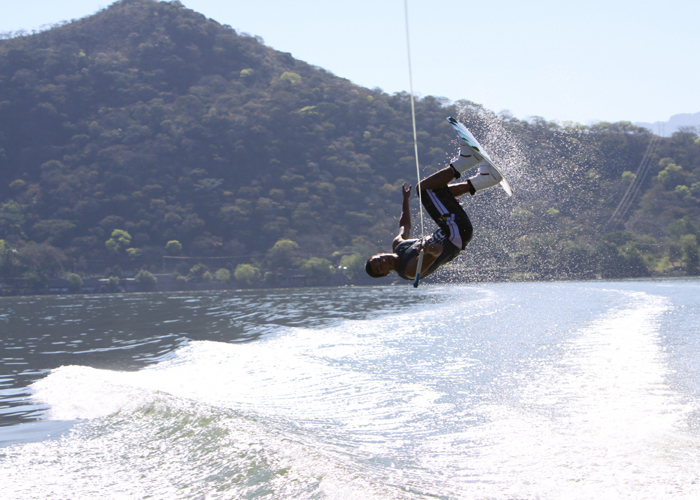 Big thanks to Germán Brito, Mariana Herrerías and the rest of the Wakeclinics crew for their incredible hospitality. Much respect to Kyle and Chad for the hard work they do to give back to the world what was once given to them; the sport of wakeboarding. It was an honor getting to hang with all the campers that I now consider my friends and I wish you all the best of luck achieving your goals and nailing your tricks. Do yourself a favor this year and book a private lesson with a wakeboard instructor, go to a camp or better yet go check out the guys at Wakeclinics and see what you can learn in one of the greatest countries on earth. 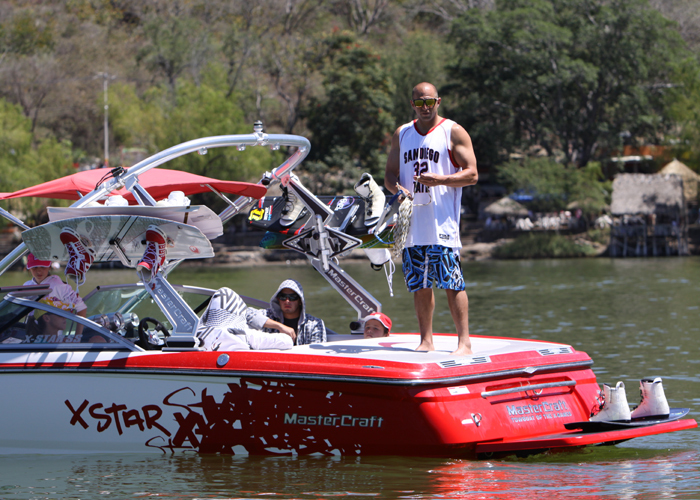 Stay tuned to Alliancewake.com for video of my Wakeclinics weekend. We were blessed with perfect weather, flawless rides, no injuries, uncomparable coaching, endless laughs, new ticks, new hopes and new friends. Watching all the riders doing their best and absorbing information like sponges, is enough satisfaction to continue on the quest of growing the sport in Mexico. 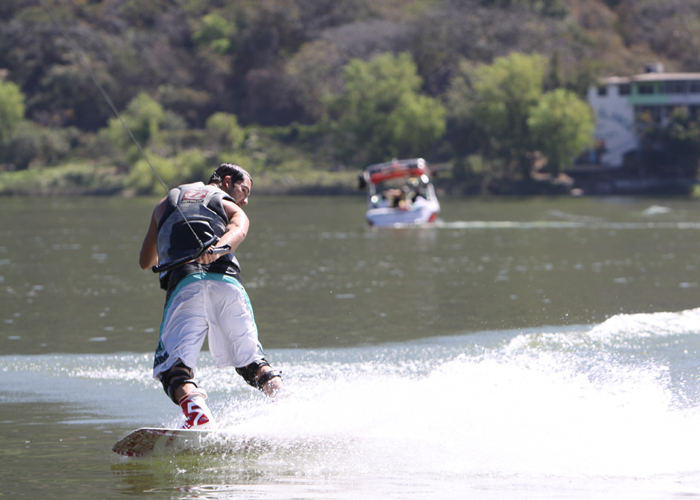 Come join us during the summer, http://www.wakeclinics.com will be updated shortly! Larissa Morales, age 12, from Monterrey, switch heelside frontside 540. 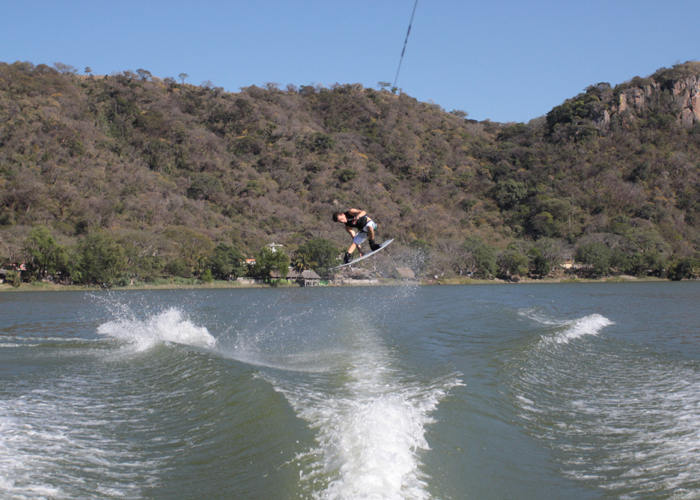 Pablo Soto, age 14, from Cuernavaca, toeside backside 180. Rodrigo Soto, age 17, Mexico City, toeside Bbackroll. Germán Brito, age 34, Mexico City, toeside frontside 540. Lorena Villalón, age 37, Guadalajara, surface backside 360. 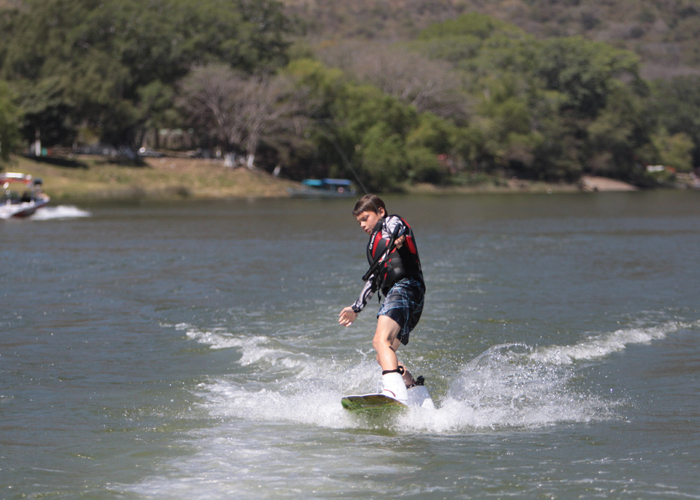 Sergio Pacheco, age 12, Guadalajara, surface frontside 360. Juano Rosas, age 39, Mexico City, toeside frontside 180. Mayer Giuerrero, age 40, Mexico City, heelside Frontside 180. Emilio Guerrero, age 15, Mexico City, heelside Frontside 180. Yaya de Obladía, age 35, Guadalajara, surface backside 360. Mariana Hererrías, age 28, Guadalajara, toeside frontside 180. Daniel Pérez Gordillo, age 15, Veracruz, surface backside 360. Bebeto Pérez Gordillo, age 13, Veracruz, heelside frontside 180 with melan grab. 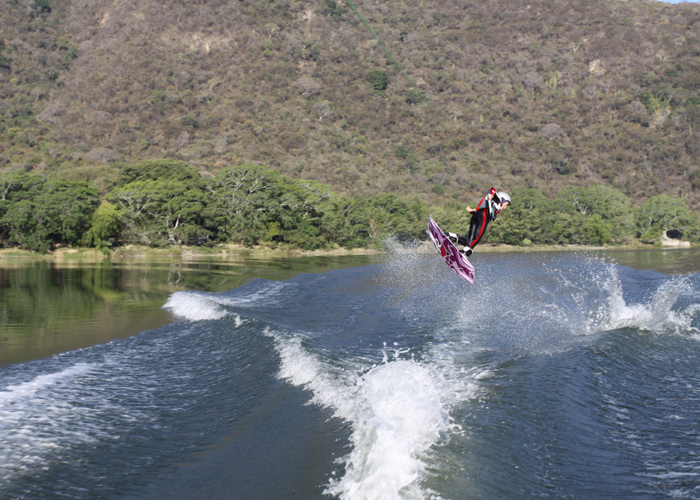 When are you going to be on the Wakeclinics best trick list? Cant wait to see the video.